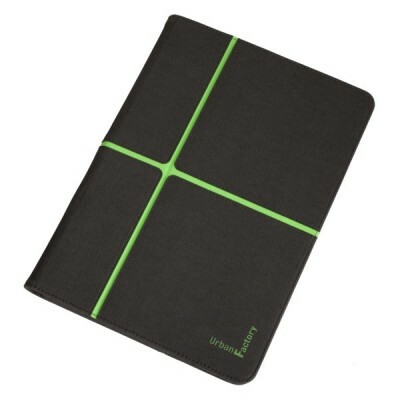 Universal folio 10'' for tablets. Modern design, anthracite grey with a colorful touch. The fixing system inside the folio is user-friendly and nicely designed with the 4 small colored angles which remind of the outside color. Stand function with multiple viewing angles. All connections remain available.